The present meta-analysis compared short-term outcomes between patients undergoing laparoscopic and open restorative proctocolectomy. A literature search of Medical Literature Analysis and Retrieval System Online, Ovid, Excerpta Medica and Cochrane databases was performed to identify studies published between 1990 and 2006 comparing laparoscopic and open restorative proctocolectomy. A random-effect meta-analytical technique was used, and sensitivity analysis was performed on studies published since 2001, higher-quality papers, those reporting on more than 30 patients and those with matching of patient characteristics. Ten studies satisfied the selection criteria, including outcomes on 329 patients, 168 (51.1%) of whom underwent laparoscopic resection. Operative time was significantly longer in the laparoscopic group by 86 min (p<0.001) and throughout the subgroup analysis, but this finding was associated with significant heterogeneity. Operative blood loss was less in the laparoscopic group by 84 ml. There was no significant difference in post-operative adverse events between the groups. 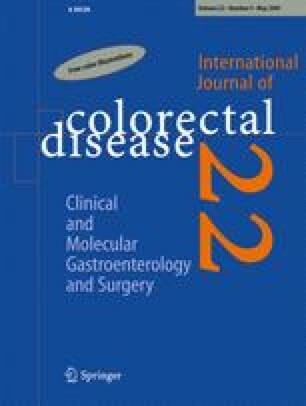 A statistically significant reduction in length of post-operative stay was observed for laparoscopic patients in high-quality studies and those reporting on more than 30 patients by 1.1 days (p=0.02 in both subgroups) and studies published in or since 2001 by 3.0 days (p=0.004) but not overall. Laparoscopic ileal pouch surgery was associated with longer operative time, lower blood loss, shorter length of hospital stay and similar short-term adverse events compared with open surgery. Comparative data on quality of life and long-term outcomes are currently unavailable. The potential advantage of laparoscopic ileal pouch surgery remains to be established. This paper was presented as a podium presentation at the Annual Meeting of the Association of Surgeons of Great Britain and Ireland, Edinburgh 2006 and as a poster at the 2006 Scientific Session of the Society of American Gastrointestinal and Endoscopic Surgeons. The authors wish to gratefully acknowledge the help and advice of Mr. Thanos Athanasiou, clinical senior lecturer at Imperial College London, in developing the statistical methods and quality scoring used in the analysis of data for this article. H.S.T. is supported by a surgical research fellowship from the Royal College of Surgeons of England.